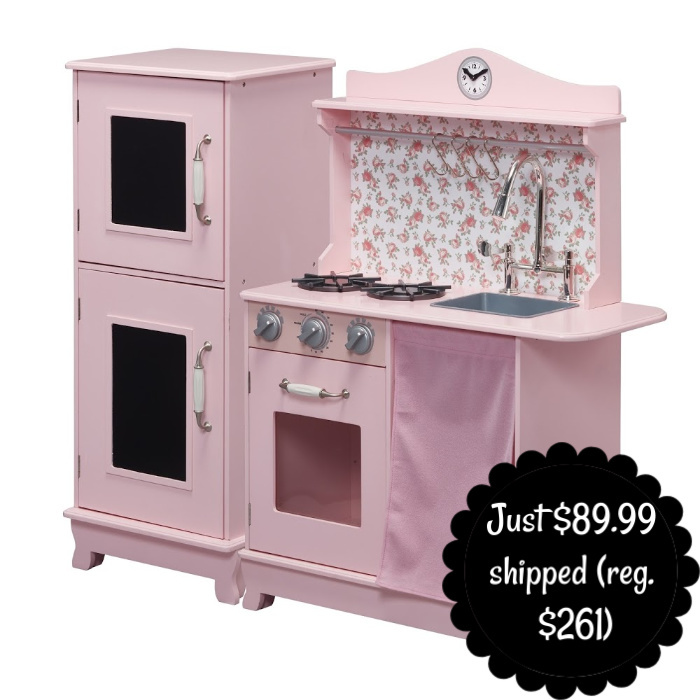 This cute retro kitchen has movable dials that makes children feel like they are really cooking. They can hang pots, pans, and utensils on the hooks. The refrigerator includes chalkboard panels that your child(ren) can draw on. The reviews are really positive and state that this unit is well made.